[Happy Birthday!] Carmageddon – I ❤ Old Games! 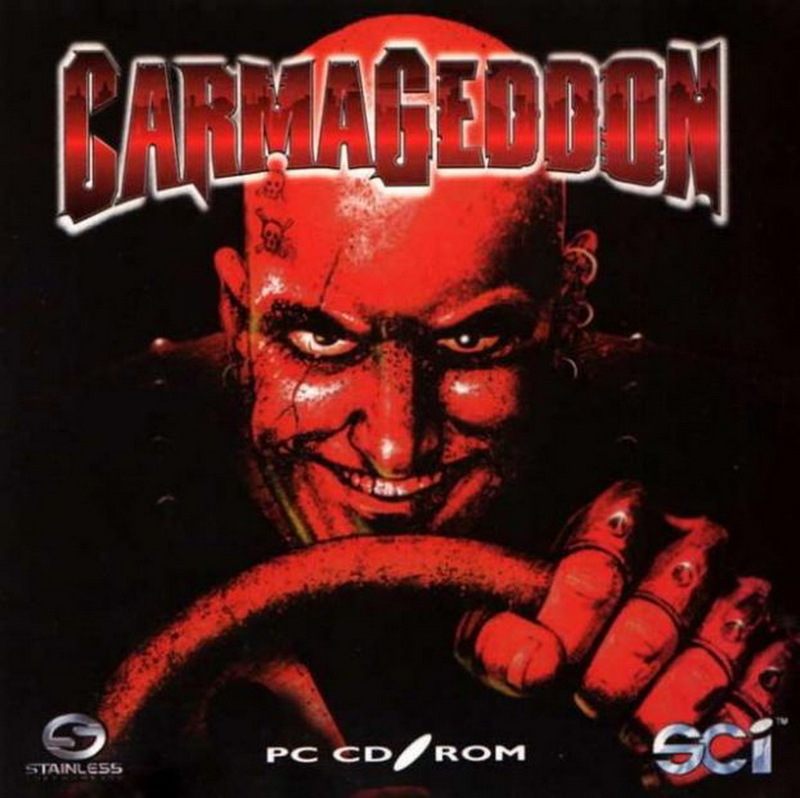 Today is the 20th annoversary one on the most controversial games back then, Carmageddon, released in the US today, June 30th, 1997. The american release followed the european (June 20th) and the Swedish (June 13th). I remember all the hype for this game 20 years ago: too violent, too “wrong”, unsuitable for kids and so on. But beside the plot of the game which is not definitely a plot for samaritans (kill people…and cows!) Carmageddon is a funny game, a sort of “older brother” for GTA, released the same year in October. The game is loosely related to the first Mad Max movie and the plot involves a gang of crazy drivers wandering in some (almost) desert street with the goal of killing pedestrian to earn time to complete the race. If you want to know something more about the game here’s my review. I played a lot of the original, and the sequel when they came out. The third one was pretty forgettable though. I recently picked up the recent revival release MAX DAMAGE. So I’ll be playing through that soon enough.